Teresa L. Duddles has been a Paralegal for The Meisner Law Group, P.C. legal team since 1989 and has lived in beautiful Northern Michigan since 1991. She obtained her Bachelor of Arts Degree from Michigan State University, College of Social Science, School of Criminal Justice in 1985 and was awarded an American Bar Association approved Legal Assistant Certificate from Lansing Community College in 1989, graduating in the Phi Theta Kappa National Honor Society. She is currently serving as Ex-Officio of the Paralegal/Legal Assistant Section of the State Bar of Michigan, having served as the Section Chair 2017-2018, and she has also served the Section in multiple other roles. Ms. Duddles specializes in collections for Condominium and Community Associations involving lien placement, litigation and foreclosure. 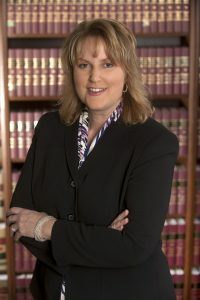 She has also been involved in the critiquing and assisting in the preparation of condominium document amendments, drafting of Rules and Regulations for Associations, bylaw enforcement, critiquing and preparation of management contracts, title and tax issues, and is educated and accomplished with regard to intricacies of the Fair Debt Collection Practices Act. Ms. Duddles also has concentrated her time in Chapter 7 and Chapter 13 Bankruptcy filings as they relate to Condominium/Community Associations. She has organized seminars for The Meisner Law Group in the Northern Michigan and surrounding areas for over 20 years and has appeared on a speaker’s panel for United Condominium Owners of Michigan’s Annual Seminar each year from 2013 through 2017.